I don't think the BOR came with restrictions, especially 2A. Maybe it was the misuse of certain guns by Al Capone, Baby Face Nelson, Bonny and Clyde, etc.....that the government and society started accepting certain 'restrictions' on some firearms and/or particular regulations. Its still legal to own a fully auto firearm. 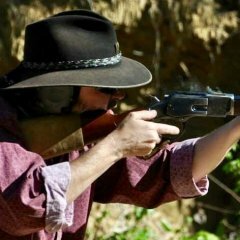 Its still legal to obtain sound suppressors/silencers. There are just certain guidelines and/or restrictions involved to obtain them. All subject to interpretation by the courts Excessive bail I think bails put at hundreds of thousands of dollars is excessive, speedy trials ?some rot in prison for years before going to trial, and please do not tell me the police never do illegal searches.and the Patriot act gives the government the power to arrest you and not charge you and hold you indefinitely .Free speech say the wrong thing and see how fast you are locked up. With all due respect you are so far left of center your remarks belong with Alex Jones. of the omnipotent state and defend the rights of the individual. right of others to live in whatever manner they choose. and to accept responsibility for the consequences of the choices they make. right of juries to judge not only the facts but also the justice of the law. manufacture, or transfer or sale of firearms or ammunition. In Post #8 you state "background check processed on me before the gun dealer can sell me the gun, then what is so difficult about having to do the same process thru a private sale?" This sounds like to me you support universal background check on private firearm transactions. But then in Post #51 you state "AND also, if I have to purchase my firearms thru a FFL, then what is wrong with everyone having to purchase their firearm thru an FFL?" WIth this statement you are prohibiting the sale of all firearms between private individuals. SInce it is easy to create the wrong impression on the wire (just like thinking someone is name calling) would you care to clarify your position? This shows how much you do not know. If a defendant sits in prison awaiting trial it is of their and their attorney's own doing, they have requested the delay which in turns stops the speedy trial clock. The right to speedy trial is alive and well and puts the burden on the prosecution. If a hurricane comes in and distroys the judicial system i.e. the courthouse, clerk's office, SAO/DA's office etc. the speedy trial clock is still running. This is why they have backup plans for such emergencies, we have actually held trials in mobile offices. It is not until the case actually goes to court or the defense asks the court/judge to continue/postpone the case does the speedy trial clock stop running. As for the cops doing illegal searches, you watch to much TV whether it be CSI/Law and Order or the liberal news. As a cop I find your comment offensive in the greatest order. Cops are human we do make mistakes, and yes there some bad ones out there and an illegal search does happen, but 99% law enforcement does it right. You make it sound as if I go to work everyday planning on violating civil rights just to get some kicks or something. Just take some of the cases you are hearing on the news. A stop/search is made (and 99 our of 100 times it's a POS criminal) the case then gets put into a scumbag attorney's hands and then to a liberal judge and a stop/search gets thrown out, badguy goes free. Trust me when I say the majority of the time the benefit goes to the defendant even in clear cases it shouldn't. In regards to bail, $100,000 excessive for what crime? shoplifting? maybe (ours in $120.) How bout the shoplifting of a $250,000 diamond necklace by a career criminal with numerous felony convictions on his record including flight to escape prosecution? This is just like you commenting on SASS. Unless you get out from behind your TV and computer and step into the ring, keep your comments to yourself, they just piss people off. yep, that does sound alittle confusing. If part of the UBC is a registry of gun purchases and owners, then I'm TOTALLY against that aspect. In my Post 51, it wasn't my intent to imply that everyone has to buy all their guns thru an FFL but rather when I purchase my guns at a gun store and the dealer is FFL, then I don't feel like its wrong that others follow the same process. You are correct that its really hard to convey certain aspects of a conversation with mere words. You would probably find me very different if this were the same conversation at a breakfast table at Cracker Barrel. Hope you will buy! I sent you a PM this morning. Hope you got it. I apparently received your 2nd PM but not your 1st PM. Let me know if you got my PM. IMO Universal Background Checks are nothing but a hiderace to the law abiding. I would love to know the stats of how many criminals actually use this form of transaction to purchase their firearms, I'd bet it's very, very, low. Criminals steal and/or trade for for their guns, they don't buy them. Now I would say ilegal purchases are made by person(s) who will fail the background check for other reasons be it mental or whatever, but I would still bet that's very low also. I personally do not sell to anyone I do not personally know or does not have a CCW License, I also get a bill of sale, but that's just me. I also don't sell very many guns either. So the UBC are only going to effect people like us and I don't think we should have to run to a FFL to make every transaction. There are enough guns laws on the books now that are not enforced so why make more. A better approach is lets start enforcing the one's we have and see how that works before trampling on our rights. I listen to comments everywhere, people saying similar things as you have, regarding things like UBC's and "reasonable restrictions" and a small part of me does agree with a few, BUT where will it stop?? You start with that and where does it end? I am a stable, law abiding, citizen. So why should I have to jump through a bunch of bearucratic hoops to buy or sell anything when it will do NOTHING to solve the issues of gun violence? I hope you know me well enough to know that I am in no way putting down your views, I truly respect you as a friend and fellow ciitizen. I am just giving my point of view. More people are killed every year by drunk drivers. A person, no matter what their driver's license status is i.e. doesn't have one, suspended, revoked, whatever, is able to walk into a car dealer and purchase a car. In Florida they can even register it and drive it right off the lot (although illegal), with No Valid License! There are no "reasonable restrictions" when purchasing that "object" that kills multiple times more people each year than firearms do and driving is a privledge, NOT A CONSTITUTIONAL RIGHT! I think he may be saying a person simply struggles with depression and takes meds. Could be added to the "Do not sell list". Where will the line be drawn? I also think guns should be out of the wackos hands. Extreme caution should be used when going down this road. Knee jerk reactions by politicians seldom if ever result in sound common sense laws. Agree 100% with JEL. Simply enforcing the current laws would and could go along way. Example: killing a person is murder. Killing a person who is a different race, religion etc is now a hate crime? ?? Hasn't the killer always been a hater?? We've always had appropriate punshments for most crime. So Lets add more rules and laws regarding guns?? It will do nothing exept hassle the honest law abiding folks. We can't talk honestly about the real social issues that is behind gun violence. That would hurt peoples feelings and you'd be branded a redneck SOB by the media. So we'll go after the black plastic stocks, bayonet lugs and turn a blind eye at the real social issues. Sounds liike a solid plan???? View from my saddle. Are my binoculars foggy? Nor do they have breathalizers at gas pumps.......you know........to keep the public safe. In 2009, there were 13,984,953 background checks for Americans buying firearms. If we subtract the 1,212,860 checks completed in the month of January, the total checks for the year under Obama were 12,772,090. For 2010, background checks totaled 14,320,489. In 2011, checks were 16,336,732, and in 2012, 19,463,832. Background checks for the month of January 2013 were 2,483,230. This totals 65,376,373 background checks completed since President Obama's first full month in office, or 44,748 background checks per day! By comparison, the number of background checks in Obama's first term is 91.1% higher than President George W. Bush's first-term total of 34,214,066. The Federal Governments own figures prove that while firearm ownership has greatly increased during the same time period crime rates have dropped. In fact the FBI’s report shows decrease in all crime across the board. This hardly supports the need for universal background checks or the preception that the "mentally ill" are contributing to more crime. Widder, in most states a sale between private parties only has to go through the "proper channels" when it crosses state lines. I can do a face to face sale with no going through paper work. I have done it many times. If I don't know the buyer I ask to see their drivers license and/or their concealed handgun license. If I don't like the person's looks I don't sell them the gun period. Until 1968 there were no federal laws covering gun sales other than Class 3 (machine guns & sawed off shotguns) weapons. The Gun Control Act of 1968 came about because of the assinations of JFK, RFK, & MLK. Ted Kennedy was the main proponet of the GCA 68 & I believe many senators and congressmen voted for it out of sympathy of his having lost two brothers in 5 years to assasins' guns. Some states had laws covering the possession and sale of firearms prior to 1968, but not many. The states with the most laws were the New England states. The state of New York had the most restrictive, known as the Sullivan Act passed in 1920, I believe. I bought my first handgun in 1966 by walking into the store and picking out what I wanted, showing the clerk my drivers license to prove I was over 21, & handing him the cash. He didn't retain any information about me other than his carbon copy of the handwritten bill of sale. The driver's license didn't have a photo on it at that time. In the past 44 years a myriad of gun laws have been passed and not one of them has ever saved a life. A criminal doesn't care about laws. That's why he's called a criminal. A criminal or mentally ill person will get a gun on the black market, or he will break into your home and steal years or he'll make one. Ever heard of a zip gun? Take a piece of pipe with the right inside diameter, a hack saw, a file, a nail for a firing pin and a small spring of sufficient tension and a 22 round and you have a homemade gun in less than a half hour. Sure it's inaccurate as it can be. But it doesn't have to be if you press it against the back of your victims' head. If you give these power mad politicians one inch they will take a mile. make no mistake about it, they don't give a damn about saving lives or children. They want power and the control it gives them and they will lie, cheat, steal, and even kill, and play on the emotions of their colleagues and constituents to get it. We must not fall prey to them if this nation is to survive. We must not back down nor give in. Now is the time to stop them and striup them of their power by booting them out of office and makeing sure they can't even get elected dog catcher. The moto of every freedom loving, gun owning, American must be "NOT ONE MORE INCH"! That comes from not being at a SASS shoot in a decade and daily posts on the Wire daily in a need to inflate his ego. Heck I wonder if he is still legally able to own a firearm.